The first weeks in Gorgoes are passing by very quickly. There is so much to discover, so many places to visit, but I also want to stay home from time to time, work on my blog, give lots of attention to the dog and try to find a next house sit. The weather is nearly every day sunny, but cold. After my walk with Pasha end of the afternoon, I immediately start the fire-place, as the Portuguese houses are cold and my living room is fairly spacious. You have to dress here in lot’s of layers; once the sun is out, it is warming up quickly, but the nights can be very cold! 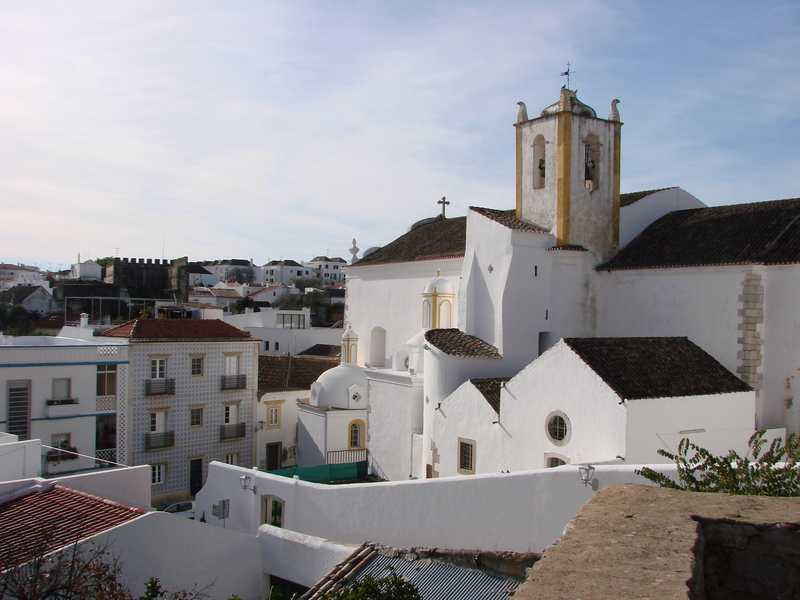 After one of my visits to Sao Bras de Alportel, I decide to drive to the cultural city of Tavira. I take the inner road, the N 270, through the hills and enjoy this beautiful curvy, quiet road. It leads you straight into Tavira and I easily find a parking spot at the entrance of the old city. This is a perfect time of the year for sightseeing; no other tourists and great temperatures……. 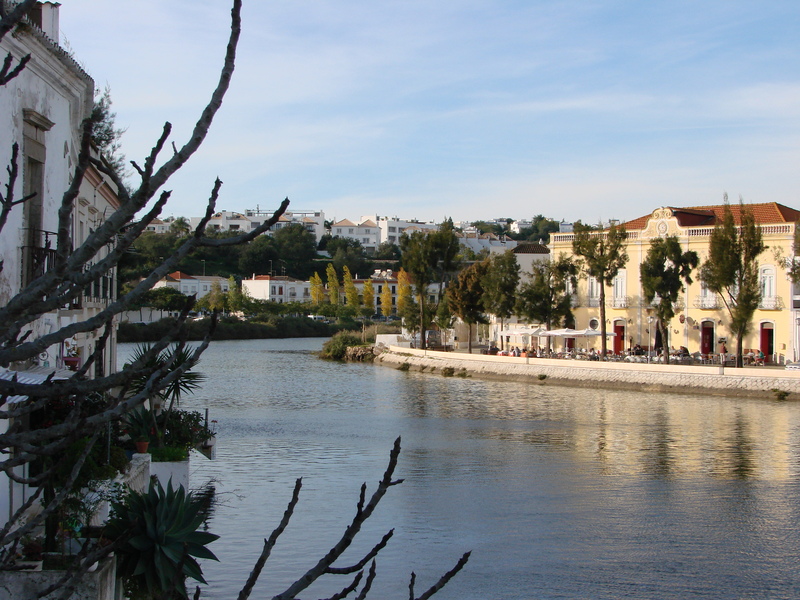 Tavira has atmosphere and a lot to offer. I fell in love with this town and I might even consider living here. During this first visit, I explored the old part of the town with the Moorish walls and towers left from the Castelo Medieval, the Porta de Dom Manuel, the Santa Maria del Castillo church and many other beautiful churches. The old town is build on a hill and you have a great view over the town from the old fortress and you can see the specific rooftops with their Chinese influences from maybe the former travels of the merchants to Asia. 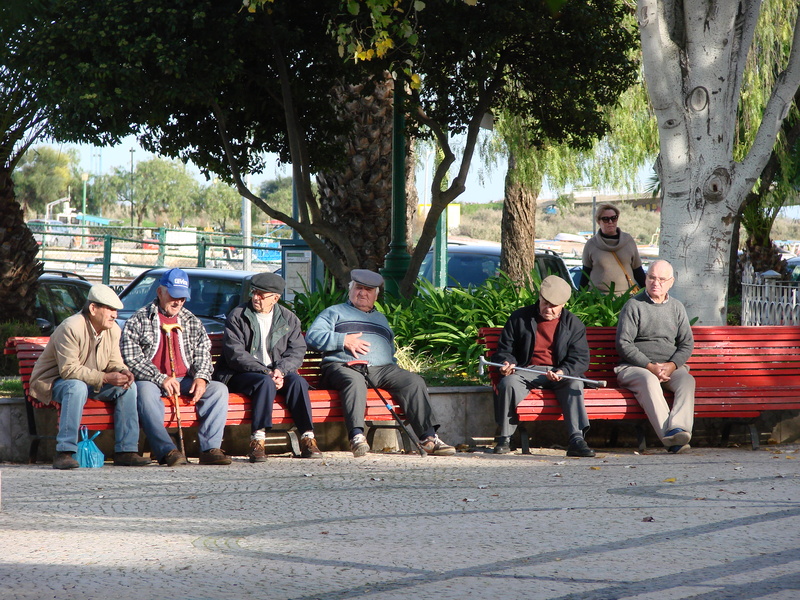 Tavira has been occupied by many different cultures, Roman, Feniciers, Moorish, Arabic etc and they all left their influences. From the Puente Romano you can walk to the other side of the city and also here you find tiny streets with old, picturesque houses, the Sao Paulo church with a nice plaza in front, little cafe’s and nice restaurants. The view from this side of the river is totally different than from the other side. One day is not enough to explore everything Tavira has to offer. Next to the Misericordia church, in the old town, is a small museum “Fado com Historia”, where they give every hour performances, from Monday to Saturday. The entrée costs 5 euro and every session takes about 30 minutes. It gives you first an explanation about the history of Fado and after, the musicians (a fadista, a viola player and a Portuguese guitar player) perform different Fado songs. I really enjoyed that show! Tavira also has a beautiful library, where you can find all kinds of information and where you can work on your laptop in a quiet environment. Close to the Plaza de Republica you find on the Rua de Galeria the information office, with a help full staff and a lot of brochures regarding Tavira’s historical and cultural life. Later, I go for lunch to a tiny restaurant further along the river and enjoy a tuna oven dish with potatoes and it is the best tuna I ever had! Accompanied with a salad of apple and avocado, wine, bread and olives and later a coffee, all for not even 10 euro. I went back to Tavira many times after and my favorite quiet and free parking spot was on Avenida D. Manuel, right off the bridge, in the old part of the town. From there, it is an easy walk into town.